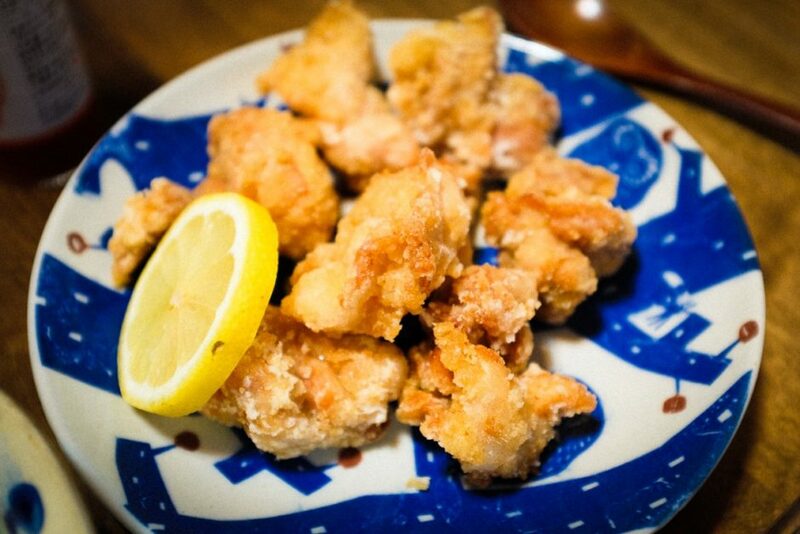 Tonight we enjoyed one of our favorite meals: karaage. Koa loves it and requested this dinner since he hasn’t had a chance to get in his JFC (Japanese Fried Chicken) fix while Mariko was away in Japan. Needless to say, it was delicious! Today I applied some color to a sketch that I did a couple weeks ago. It’s an alleyway at the Kasbah of the Udayas in Rabat, Morocco. I used a reference photo that I took when we were there last month. 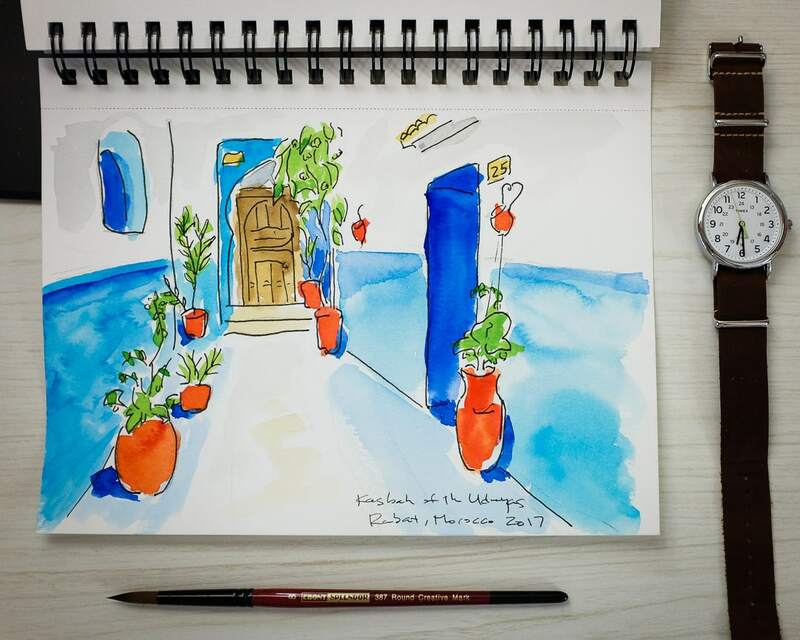 It’s a simple scene, and the blue is pretty intense, but if you’ve ever seen it in person, you will agree that the color is amazing. The more I look at this painting, the more the blue wall looks like the sea. I’m enjoying sketching and watercolors a lot. Plus my fountain pen interest has settled into a nice groove. Meaning, I am enjoying using my LAMY Safari to write in a daily journal every night, and my Pilot Kakuno is used for general purpose writing, and captioning my watercolors too! Great seeing your art again! And that you’ve swung around for another dip!